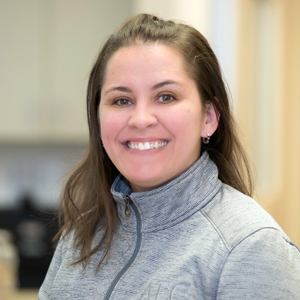 Sara has a BS in Zoology from Michigan State University and graduated from the Veterinary Technology program at Macomb Community College with an Associate of Applied Science and LVT certification. She also has a certification in Advanced Imaging (Ultrasound) from Cedar Valley College. Sara has been in the veterinary field for over 11 years, including one year at the Detroit Zoo and one year in equine medicine. She has done cardiology relief work for 3 years and emergency medicine for over 4 years. Sara continues to pursue advanced imaging training, and is also working towards a CVPM business degree and MBA. Sara has excelled in emergency care since joining the AEC team. "I provide personalized care and attention to detail in all that I do. I love the fast paced atmosphere of the ER". Sara is the owner of a black Labrador retriever named "Royal" and a Doberman named "Cyrus". Sara enjoys music, collegiate sports and spending time with friends.